6 months ago I had a very nice car, it was an Eagle Vision. It was all leather interior, sunroof, power everything, just beautiful. One day our car began making this horrible loud clunking noise and we were afraid to drive it to a mechanics because if it broke down along the way we need to pay for a tow truck on top of the repairs the car needed. 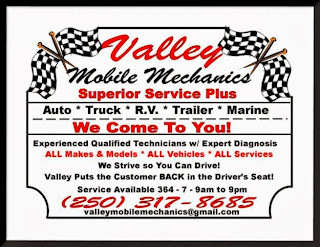 So I searched online to find a mobile mechanic and seen one with a BBB rating at an A and the BBB is like a report card for businesses so this seemed good to me. So I called the guy named Peter and he gave me a big speech about having 25+ years experience and the best prices in town, yada yada yada. So he came to my house and checked out my car. After the inspection he had decided the diagnosis was a problem with the head of the engine. He would need to tow it to his shop to fix it. 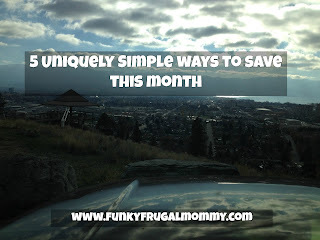 Here is where you need to pay attention. Be careful, some people are cruel! So I was left with no car, 600 dollars down the pipes and this guy had seen I had 3 kids and was clearly not rich. Be careful who you do business with, I have been trying to catch up on things ever since then and it has not been easy! 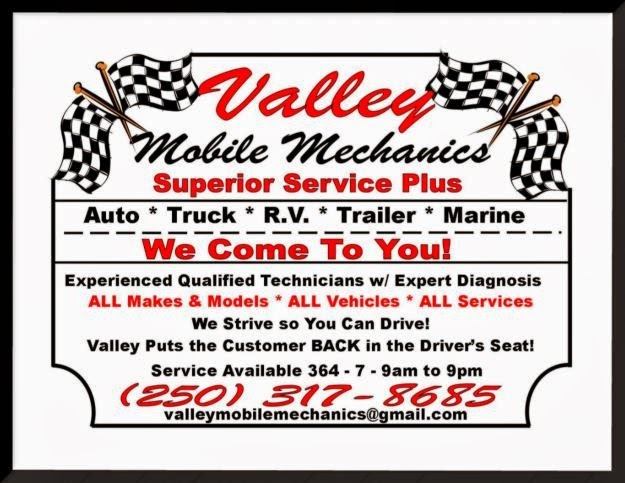 Everyone from the Okanagan Valley beware of Valley Mobile Mechanics! Their BBB rating is now an F and you can see it HERE!